The concept of marketing audit is currently highly discussed. The main purpose of this paper is to support implementation of marketing audit in activity of companies. The importance and using of marketing audit is growing and companies realize its importance for their future growth and success. The paper deals with marketing audit and the importance of valued information which can contribute to the detection of opportunities and threats in the market. Through this paper we would like to bring into focus the broad and different aspects of marketing audit that can help an organization to understand the internal as well as external environment thus effectively analyzing its strategies and their implementation. Marketing audit is the most important step in the development of the marketing Plan. Marketing audit has an essential contribution to the future success of the business. Depending on the results of marketing audit is drafted the plan and marketing strategy that will be applied later. Final goal of marketing audit is elaborating a strategy in accordance with the company's real problems. Cecco, C., Cetină, I., Rădulescu, V. and Drăghici, M. 2010. Specifics of the marketing audit in the financial sector, Journal of Academic Research in Economics, 1(3). Cheng, Ch. 2010. A new marketing audit value model based on fuzzy theory and main component analysis method, In. ICIME, 2nd EEE International Conference on Information Management and Engineering. Chirilă, G., Funar, S. 2010. External Marketing Audit and Internal Marketing Audit. Comparative Study, Bulletin UASVM Horticulture, 67(2). Kotler, P. and Armstrong, G. 2010. Principles of Marketing, USA, Peaeson Education. Kotler, P. and Keller, K. L. 2009. Marketing Management, 13th Edition, Pearson International Edition. Lipnicka, D., and Dado, J. 2013. Marketing Audit and Factors Influencing Its use in Practice of Companies (From an Expert Point of View). Journal of Competitiveness, 5(4). Loya, A. 2011. Marketing audit – An important tool to determine strengths and weaknesses of the companies. International Journal of Multidisciplinary Management Studies, 1(2). McDonald, M. 2007. Marketing Plans. How to Prepare Them, How to Use Them, 6th Edition, Publishing Butterworth-Heinemann. Schlidge, G. 2006. Marketing audits: Why principles of accountability in marketing are useful in promoting company growth, Journal of Promotion Management, 12(2). Taghian, M. and Shaw, R.N. 2008. The marketing audit and organizational performance: An empirical profiling. Journal of Marketing Theory and Practice, 16(4). Vana, K., and Cerna, L. 2012. The marketing audit as a method of the evaluation of the marketing plan, Pesearch Papers, Faculty of Materials Science and Tehnology in Trnava, Slovak University of Technology in Bratislava. GÂDĂU, Liana. Marketing Audit and Its Importance in Achievement of Marketing Objectives of a Company. 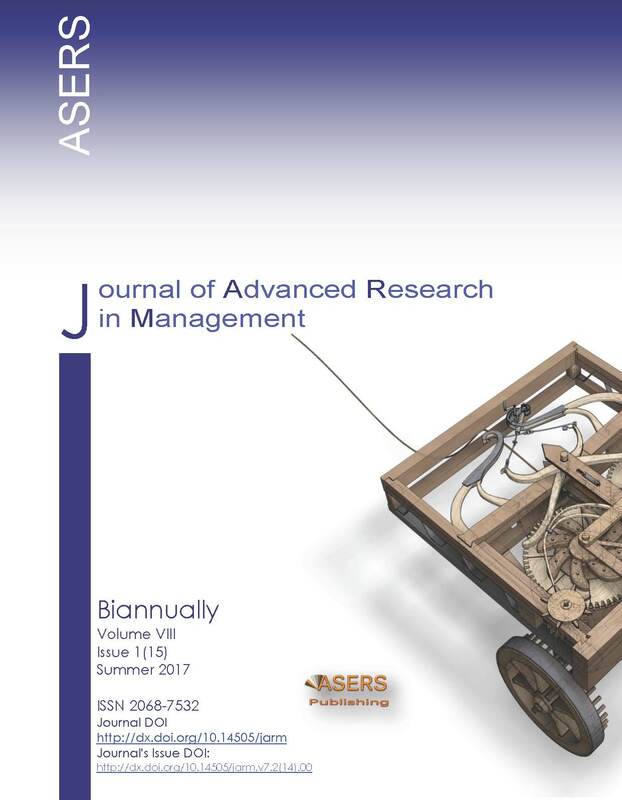 Journal of Advanced Research in Management, [S.l. ], v. 8, n. 1, p. 38-43, july 2017. ISSN 2068-7532. Available at: <https://journals.aserspublishing.eu/jarm/article/view/1274>. Date accessed: 25 apr. 2019. doi: https://doi.org/10.14505//jarm.v8.1(15).04.